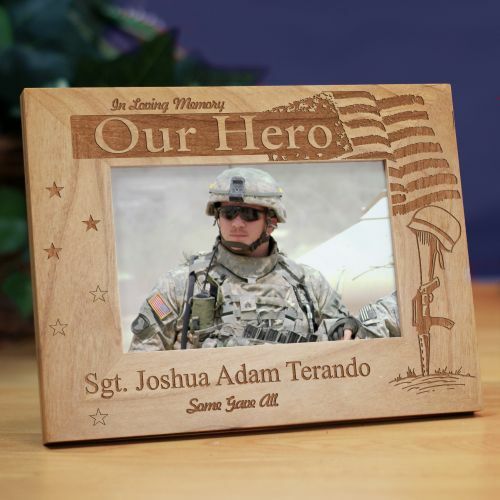 Personalized USA Military Memorial Wood Picture Frame. Honor the life of a loved one who stopped at nothing to protect us and our country with a handsomely Engraved Military Memorial Picture Frame. Bring out the hero in your love ones with a beautiful picture frame.